We love working in the creative space, so when we came across this wonderful article over on Design Boom – we just had to feature it. We work in all kinds of disciplines when we’re creating our packaging mockups for businesses throughout the world. Silk Screen Printing is a traditional print technique and one that seems to be experiencing a revival. Of course, our Silk Screen Printing machinery is on a much larger scale than the ones featured below. 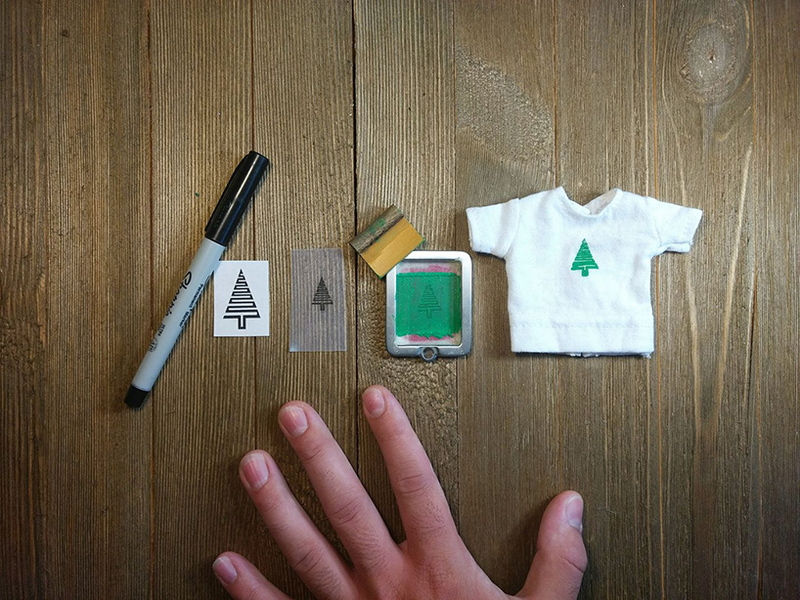 Miniature artist Devin Smith, creates fun-sized t-shirts using his own hand-made silk-screen press. Smith creates all things miniature, developing his craft over a long period of time, the machines were inspired by those in the factory where Smith worked. 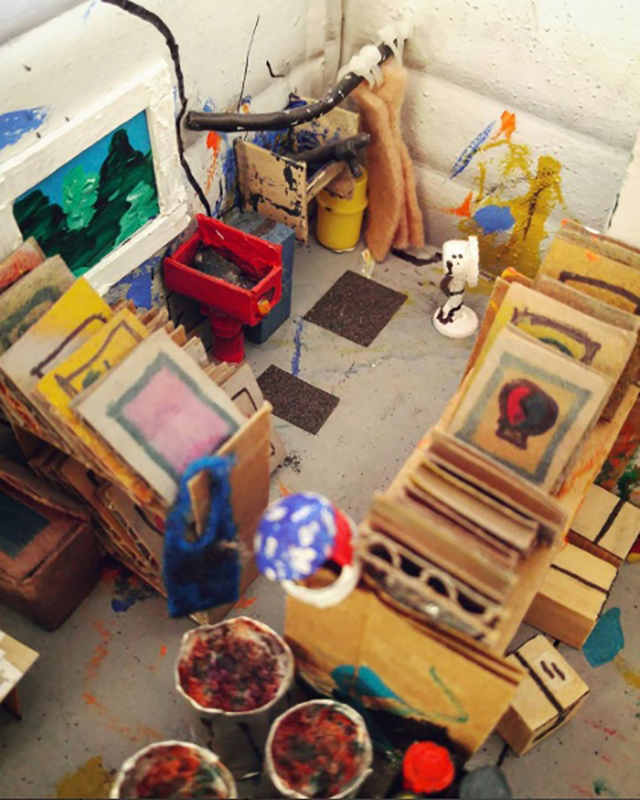 While working at a t-shirt factory in 2013, Smith was inspired to build a tiny replica of the studio. Over a span of 5 months, he developed the factory as a gift for his employers. 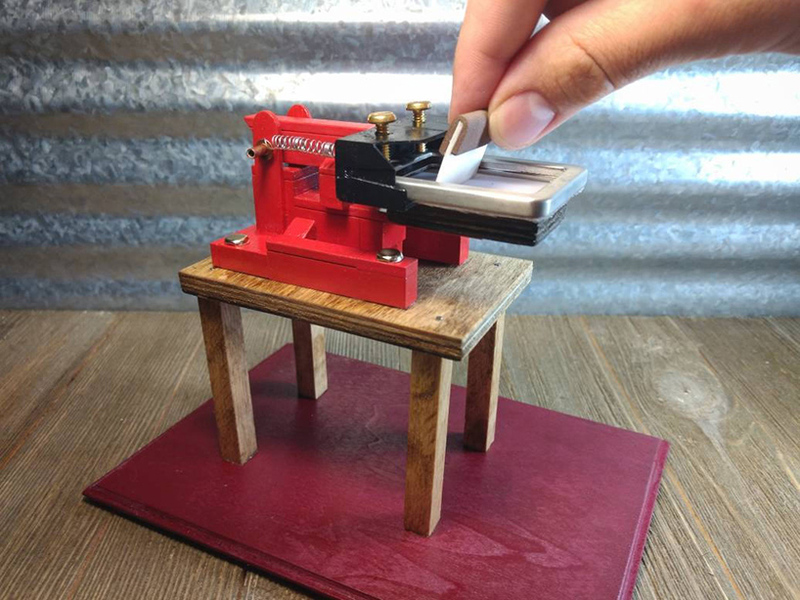 The artist further explored his creation by developing a fully functional miniature screen printing rig that transfers unique designs onto tiny clothes. 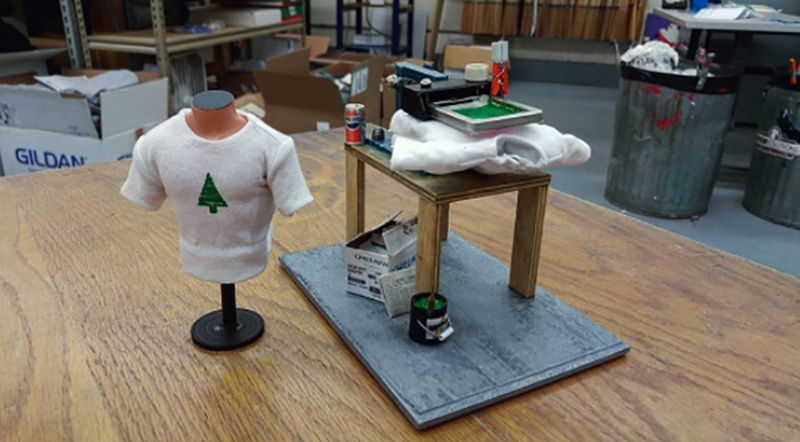 The silk-screen presses are fully functional at a barbie doll scale, the clothing is perfect for miniature toys or dolls. The prints can be fully customizsed as the machine is designed to function in the same way that a real silk-screening press does. To view more of his work or to commission pieces, check out smith’s Etsy and Instagram profiles. 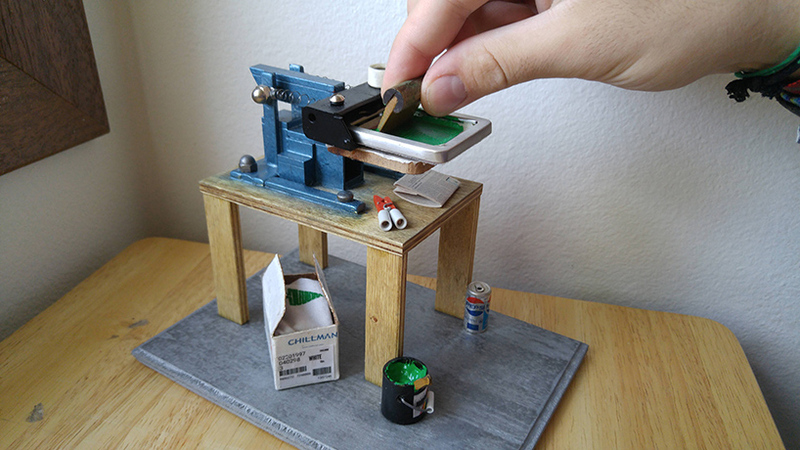 Miniature details from the factory such as paint buckets or tools are replicated. We hope you enjoyed this article, it is one of many amazingly interesting reads over on the Design Boom website – go check it out. Interested in checking out some of our Packaging Mockups created using Screen Printing? then why not give the Litmus Mockups team a call.